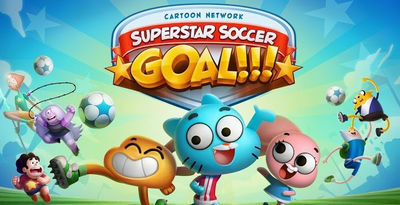 Cartoon Network brings you your favorite characters to play soccer with right on your Android and become a superstar. Choose any character you like from all of CN shows and dribble your way to winning the Superstar Cup! - Play as one of 16 different captains from your favorite Cartoon Network shows like Adventure Time, Steven Universe, Regular Show, The Amazing World of Gumball, We Bare Bears, Clarence and Uncle Grandpa. - Unleash unique defensive dribbles and special moves for each character. Combine passing, shooting, dribbles and tackles to create your own awesome soccer plays and win the day. - Play against the computer or challenge your soccer skills in multiplayer matches against other players. Enjoy versus play on the same device, over wifi or online. - Grizz from We Bare Bears calls all the action with custom VO and offers power-ups that can change the course of the match. - Compete for the ultimate prize, the Superstar Cup. Install the Apk file, Copy data folder into sdcard /Android/Obb/ and play.